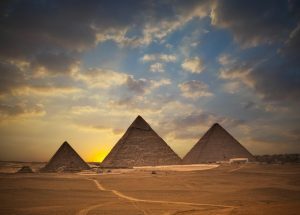 Pyramids are some of the most magnificent and mysterious structures ever created. Built when Egypt was one of the most powerful civilisations in the world, these structures represent the glory of its former rulers and the incredible advancements of ancient civilisations. Visiting such structures is like travelling in time. Lose yourself in the beauty and powerful energy of this area, you will not regret it. 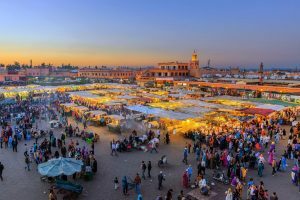 Marrakesh offers a complete experience for the visitor, it channels the perfect combination of old and new architecture, it is exciting, colourful and vibrant, making it the perfect destination for a group of friends travelling together. 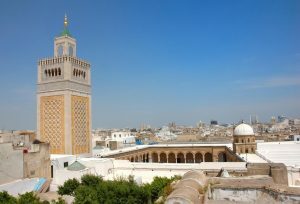 Tunis is influenced by Eastern and Western traditions, making it an eclectic and fascinating centre of culture and excitement. The chaotic area around the medina is one of the most interesting aspects of the city, as the hundreds of people buying and selling goods and spices will enchant you, while you appreciate the beauty and uniqueness of your surroundings. The world’s largest desert is a must for the lovers of enchanting childhood stories and adventures. 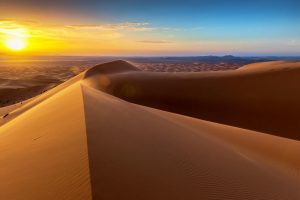 While not all of the territories covered by the sahara are visitable by tourist, the North African side offers great experiences, from campfires to camel rides there is something for everyone to enjoy. 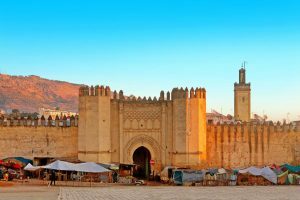 Fez is one of Morocco’s oldest imperial cities and an international hub of culture, learning, history and Arabian charm. While the city is used to get less visitors than the glamourous Marrakesh, Fez has nothing to envy. Its medieval exoticism is a great way to travel with your mind as well as your body. So there you have it, here are 5 great destinations to add to your wish list. Enjoy the charm and timeless beauty of North Africa and make memories that will last a lifetime. When travelling to North Africa don’t forget your travel vaccination! Contact walk in travel clinic for more information on which vaccinations to get according to the country you are travelling to. Previous PostPrevious Travelling to Southeast Asia? This is what you need!